Men look wonderful IN COLOR! Be a BRAVE SHOPPER: try colors that you would normally pass by...you will be surprised at how ALIVE color makes you look and feel! 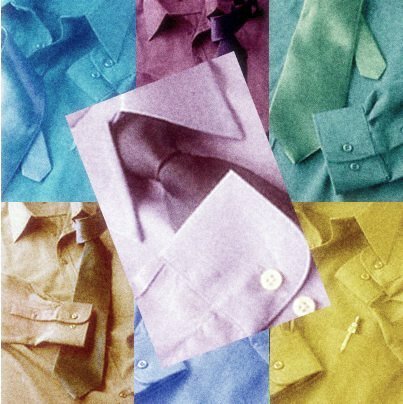 WEAR COLOR---FEEL ALIVE! * SEW ANY FABRIC, by Claire Shaeffer and published by Krause Publications, was awarded FIRST PLACE for non-fiction technical books in the National Federation of Media Professionals Communications Contest. WHY does this have special significance in "my world" ? Because the author kindly included one of my designs in the publication! 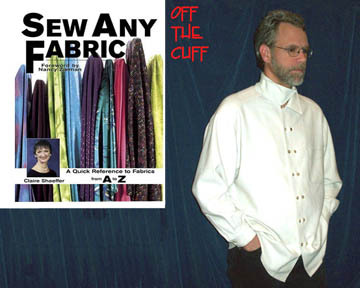 My ~OFF THE CUFF~ Roll Collar Shirt can be seen on page 143. About the Author: Claire Shaeffer is an internationally respected author, lecturer, college instructor, and columnist. She has written numerous articles that have appeared in popular sewing publications, such as Vogue Pattern Magazine, Craftrends, Sew Business, Sew News, and Woman's Day. Claire is recognized for her achievements as the winner of several prestigious awards, including the 1997 Who's Who of American Women award.